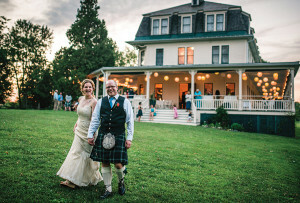 Our exclusive guide to the area’s top wedding professionals. Delivering the latest in style, inspiration, helpful tips and tricks, and everything else you need to know to plan the perfect New England wedding. Close your eyes and imagine the sound of a gentle waterfall as you stroll into the Mandarin. A staffer discreetly delivers a hot towel and a cup of tea. The warm vitality pool beckons, as does the quartz-crystal steam room. You sprawl upon a chaise in the relaxation lounge, blanket and strawberry water at the ready. All of this before your hot stone massage commences. Are you relaxed yet? 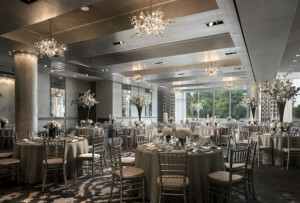 776 Boylston St., Boston, 617-535-8820, mandarinoriental.com. Whether you’re after soft, side-swept curls or a play on the classic French twist, your locks are safe in traveling stylist Stacey Kuehn’s hands. Kuehn, who’s worked with such celebrity clients as Taylor Swift and Gwyneth Paltrow, draws from years of editorial experience to create wedding-day ’dos that look like they came straight out of the pages of a fashion magazine. So long, lackluster lashes and sparse brows: Lash L’Amour’s specialists have easy fixes for bigger, better volume. For over-tweezed arches, a set of eyebrow extensions restores original glory. For next-level flirting, a volume extension treatment, which isolates individual hairs and allows up to 500 ultrafine extensions per eye, will have you batting those lashes in no time. 129 Newbury St., Boston, 617-247-1871, lashlamour.com. 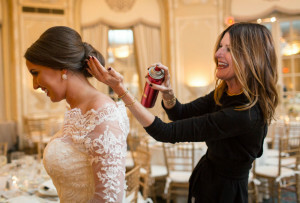 Tan lines and problem skin are no match for Kelly O’Keefe and her team of makeup artists and aestheticians, who travel throughout New England to create flawlessly natural looks for brides. Skilled in both traditional and airbrush foundation application, Blush’s pros can also work with you before the wedding, offering skin-care consultations and trial runs at their Hingham-based studio, Tryst. 29 Main St., Hingham, 781-740-2228, blushweddingday.com. This polish empire continues its expansion in the Bay State and beyond, and for good reason. A “Clean Lab” sterilizes all equipment to hospital-level sparkle. The atmosphere is minimalist yet warm (picture a chemistry lab combined with Zen hideout). Services are streamlined, too: Instead of doing it all, they smartly focus on manis, pedis, and waxing. What can we say? MiniLuxe nails it. Prudential Center, Boston, 617-279-0132; and other locations; miniluxe.com. One session with owner Lauren Rampello, and you’ll never hop into an automated spray-tan booth again. Her paraben-, formaldehyde-, and retinol-free formula is meticulously applied by hand, leaving no room for streaks or missed spots. Stop into the recently opened studio for a custom color consultation, or let Rampello bring her pop-up tanning station to your home. Either way, 20 minutes is all you’ll need for a subtle glow that lasts for the better part of a week. 176 Newbury St., Boston, 617-267-4455, pureglowtanning.com. Getting married? Start and end your wedding planning journey with Boston Weddings' guide to the best wedding vendors in the city.